SayWhatNews: Good morning Phil. Thanks for sitting down with us so early in the morning. First tell us about the mission of Soul Unsigned. 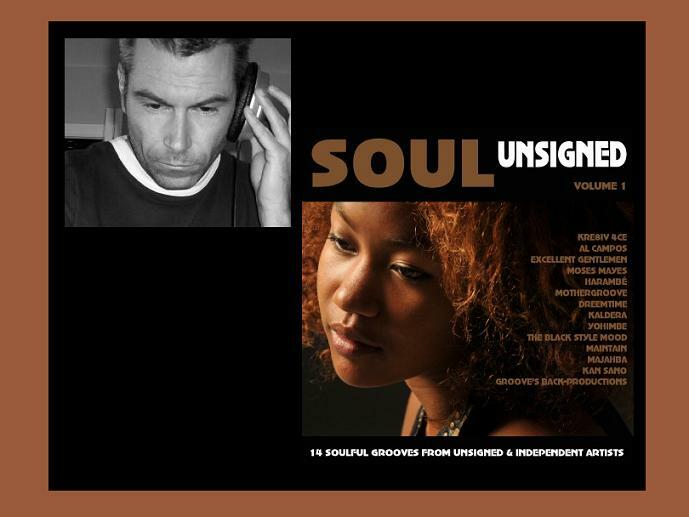 Phil: Soul Unsigned’s mission is to offer free promotional services to unsigned and independent soul artists. Unsigned artists put a huge amount of time and money into their music, so we want to help them get that music out there and heard by a wider audience. We don’t charge for this help. Instead, Soul Unsigned is financed through its record label. We make our money from the artist’s music and not from the artists themselves. If they don’t make any money from our efforts, then neither do we. SayWhatNews: How did you come up with the idea to support unsigned soul, funk and jazz artists from around the world? Phil: I started collecting music from unsigned artists when the whole MP3 thing kicked off around 2000. I used to trawl through unsigned band websites like soundclick.com. In those days, most unsigned artists were happy to give away their music for free, so with minimal financial outlay I was able to download and accumulate a huge collection of unsigned music. SayWhatNews: Why take on such a huge task? Phil: I had grown tired of the copycat releases that were coming out of the major labels and I really wasn’t buying or listening to new soul music any more. The unsigned artists that I started to discover on Soundclick.com reminded me of the bands that I had admired in the 70s and 80s. Those old bands didn’t have the record label dictating to them, and the unsigned artists of today enjoy that same creative freedom. SayWhatNews: Yeah, I can feel you on that. So tell us, with no prior DJ experience, how did you initially get started on Solar Radio? Phil: Solar Radio is the UK’s number one independent soul music station and it has a massive reputation, not just in the UK but worldwide through its internet service. Its roots go back to the underground pirate radio stations of the late 70s and early 80s, and it’s always been a source of quality soul music. I initially sent Solar a compilation CD of some unsigned tracks, and suggested to them that they could do a show featuring unsigned artists. I was quite surprised when they came back to me and asked me if I’d like to do the show myself! I did a quick 1-hour demo for them and they agreed to let me do a pilot show. From that pilot, I got a regular monthly slot with them, which has continued to this day. SayWhatNews: Now Phil is it true that in the beginning you had no knowledge of the music industry? And how did you learn the ropes? Phil: Yes, that’s right. My only knowledge of the music industry before starting Soul Unsigned was as a punter. I’d been listening to and buying soul music since ’75. I’ve had to learn the ropes pretty much by trial-and-error…..and through a lot of internet research. SayWhatNews: Now that’s true dedication at its best, making your dream happen no matter what the obstacle or set back maybe. Now Phil, there are so many websites and social networking sites where you can have your music heard, so what sets Soul Unsigned apart from the rest? Phil: We’re not really a networking site, and we don’t hold a huge amount of music content directly on our website. Instead, the website is a portal to the websites and myspace pages of the artists that we’ve featured on the radio show. The difference between our website and other sites focusing on unsigned acts is that we impose an element of quality control. Artists only appear on our website when they’ve been featured on the show; and if they’re not good enough for the show, they’re not good enough for the website. The biggest problem with many unsigned websites is that the visitor has to trawl through thousands of home-produced, low-grade tracks to find a few quality tunes. We’ve done all the trawling for you. If you like soul music, you’ll probably like 90% of what’s on the website. SayWhatNews: Phil you are not only the founder of Soul Unsigned, you are the DJ, compilation manager and webmaster. Gives us a brief break down of your day to day functions/duties. Phil: Soul Unsigned is still just a part-time thing for me right now. Mondays are spent recording the weekly show and updating the website. Tuesday thru Friday I work as a freelance business and I.T. consultant, so I have to use my evenings and weekends keeping up-to-date with all the new submissions that come in. I also have to go through (and respond to) the friend requests on myspace, and also keep up the general communication with artists. Leigh Fry, my partner in Soul Unsigned, helps with assessing the submissions and he also runs the production side of our record label. SayWhatNews: Wow, your schedule is just as busy as mine. Tell us how can an artist become a part of the Soul Unsigned family? Leigh and I listen to everything that comes in and we will always provide feedback, good or bad. A track will get rejected if the production quality or singing is poor, or if the music itself just doesn’t fit with the vibe of the show. We cover lots of genres on the show, from soul and funk, to jazz, r&b and even soulful dance music, but we still get submissions that are way outside the scope of what we cover. We get everything from heavy metal to classical! SayWhatNews: Ok, lets discuss the functions of what an artist should do to help themselves be successful. First, how important is promoting and marketing? Phil: It’s essential, but it has to be done effectively. My advice to all unsigned artists is to network as much as possible. The internet makes this so much easier than it used to be. It doesn’t matter how good your music is, if nobody knows about it, you’re not going to get anywhere at all. Having your own website is always helpful, but Myspace and Facebook offer excellent (and free) vehicles for initially getting your music out there into the public domain. SayWhatNews: What particular marketing and promoting have you found works the best? Phil: I see it from both sides. As a DJ, I get approaches from artists all the time, either as friend requests to our myspace page, or as MP3s submitted through the website. We’re getting more and more EPKs (electronic promo kits) these days too. Some artists send physical CDs directly to the radio stations, but this can be a bit hit-and-miss and, of course, it costs money to send out CDs. My advice would be to keep costs down and email out MP3s. On the other side of the fence, as a record label, we also have to make approaches to other DJs, radio stations and review websites to feature our compilations. I’ve spent countless hours googling for new contacts, trawling through the friends list on people’s myspace pages, and checking the links sections on other people’s websites. It’s hard work, but it’s absolutely essential, especially when you’re first starting out. SayWhatNews: Why should an artist be willing to invest in themselves by having professional promotional photos and bios done? Phil: I’m not convinced that they need to, at least in the beginning. As a DJ and A&R man, I have to be honest and say I don’t spend a huge amount of time reading the bios that are enclosed with the CDs we receive. I don’t really care what the artist looks like, who they went to college with, or who they are influenced by. I’ve rejected countless stylishly produced CDs that were accompanied by 20-page bios and professional photos, simply because the music wasn’t up to scratch. Equally, I’ve featured tracks on the show that came to us on a CD-R with just a hastily scribbled artist’s name on it. No picture, no cover letter and no bio! For me, it’s the music that counts. I think we need to shift the balance back towards the music and away from the obsession with image and packaging. SayWhatNews: But would you agree that on the other side: media outlets, artists should have promotional pictures and bios available just in case they are chosen for a feature on a Entertainment TV Show or Magazine, that needs to be available. SayWhatNews: Soul Unsigned is associated with radio shows in the UK, USA, New Zealand, Spain and Sweden; and has become a successful independent record label and artist promotion company. Where do you see Soul Unsigned in 5 years? Phil: As far as the record label goes, I’d like to see us building up an extensive catalog of CD releases. At the moment we’re just doing compilations, but we’ll soon start releasing individual artist albums too. As for the radio show, I’d like to see the weekly “syndicated” show going out on more FM stations throughout Europe and the rest of the world. Getting onto Kiss FM in Sweden was a big deal for us, and it gave us a degree of credibility that will be a good door opener when we approach other stations with the show. Further into the future, a natural progression from the record label and the radio show will be artist promotion and maybe live/gig promotion too. But that’s some way off at the moment. SayWhatNews: Phil in your wildest dreams did you ever think that you would be the founder of a record label that helped promote unsigned Jazz, Funk and Soul artists? It was an honor to get the original radio show on Solar without any previous DJ-ing experience, and I would have been happy with that as a personal achievement. But since that first show, everything has just snowballed. One thing has lead to another and every new objective that is reached gives me great pleasure and satisfaction. There’s clearly an interest in quality music from unsigned artists, and more and more people are realizing that “unsigned” doesn’t mean second rate. I’m glad that Soul Unsigned can play a part in promoting the wealth of undiscovered and unsigned talent out there. SayWhatNews: What is the one key advice you would like to give to all aspiring artists who are unsigned? Phil: Identify your target market. If you’ve got a CD to sell, it will only ever go in one rack in the store, or in a limited number of genre-sections on a website. You and your music are a product. You need to stay focused, understand what it is your selling, and restrict your sales efforts to the people that are most likely to promote it, sell it, or buy it. It’s very easy to waste huge amounts of time on avenues that will not provide any benefit, or will not help you achieve your goal of more exposure for you and your music. Don’t waste your time pitching a rap track to a soul show, or sending a smooth jazz CD to a review website that specializes in urban music. SayWhatNews: What is next for Phil Driver and Soul Unsigned? Phil: We’re currently putting the finishing touches to our second full-length compilation CD (imaginatively called “Volume 2” !) which once again features a selection of tracks from unsigned and independent artists that we’ve featured on the radio shows.